The Kale (Turkish for fortification) at Krševica near Bujanovac in southern Serbia is situated at a strategic location where the slopes of the Rujen mountain descend towards the Vranje basin and Južna Morava valley. This exceptional strategic position had been used in the Late Bronze and Early Iron ages, but the Hellenistic settlement with acropolis was established at the turn of the 5/4 century BC. Finds of coins of Philip II, Alexander III, Cassander, and Demetrios Poliorketes correspond in general to the chronological span of the Hellenistic settlement which was the northernmost Ancient Macedonian city, and has been identified with the ancient city of Damastium, mentioned in classical sources (Popović P. 2006). 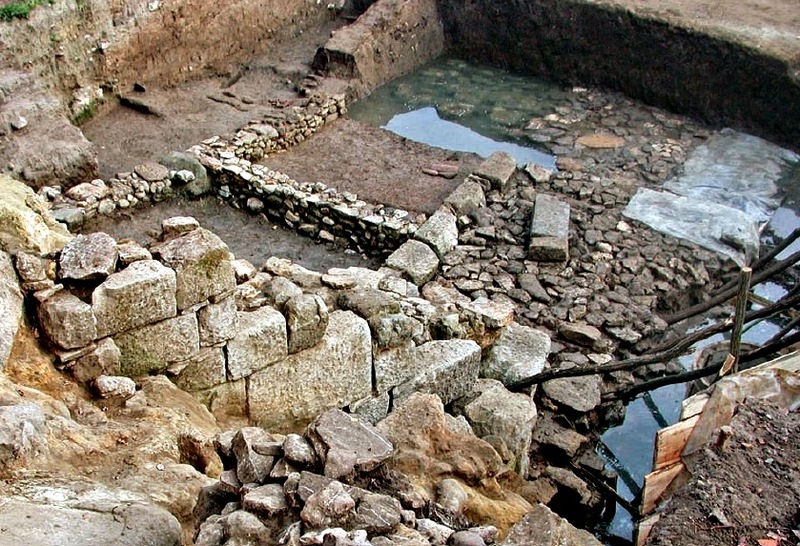 Extensive archaeological excavations at the Krševica site have revealed a unique site in the Južna Morava valley where the significant remains of two civilizations – Greek and Celtic – have been encountered. 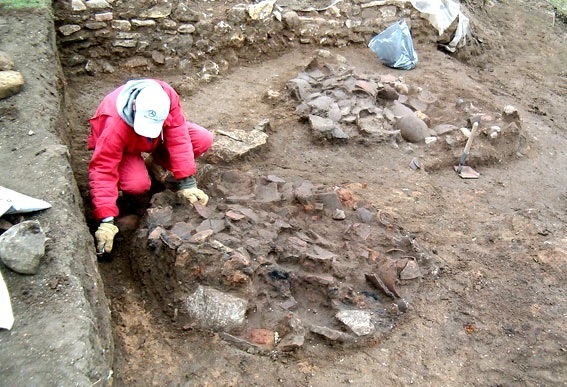 The most massive layers with buildings, ramparts and other structures, as well as abundant finds of imported and local pottery made after Greek prototypes, date from the 4th and early 3rd century BC. 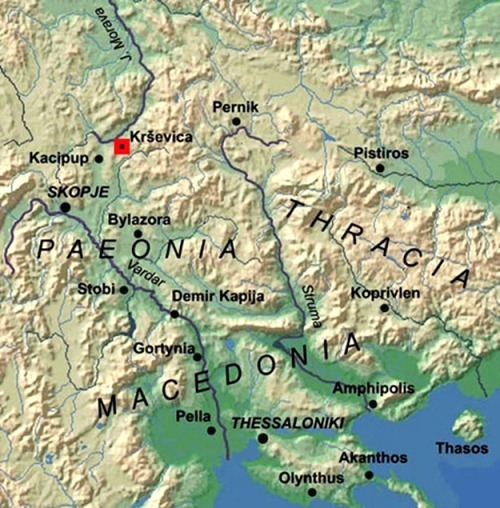 With the Celtic expansion into the central Balkans during the late 4th /early 3rd century BC, and the resulting collapse of the Macedonian state, the settlement at Krševica fell under Celtic control (Popović 2006, Mac Gonagle 2015). 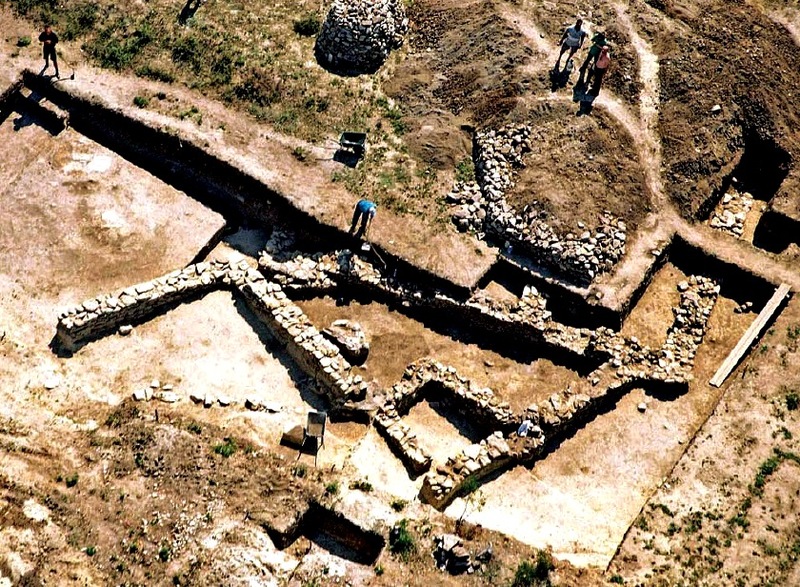 Archaeological evidence from the site indicates that this transition was a relatively peaceful one, and no significant economic or social disruption is to be observed. 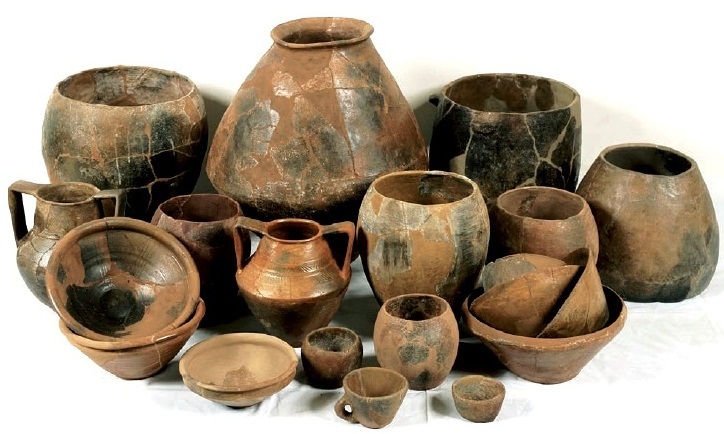 A considerable amount of the ceramic consists of vessels characteristic of the late La Tène production from the territory of the Celtic Scordisci tribes. 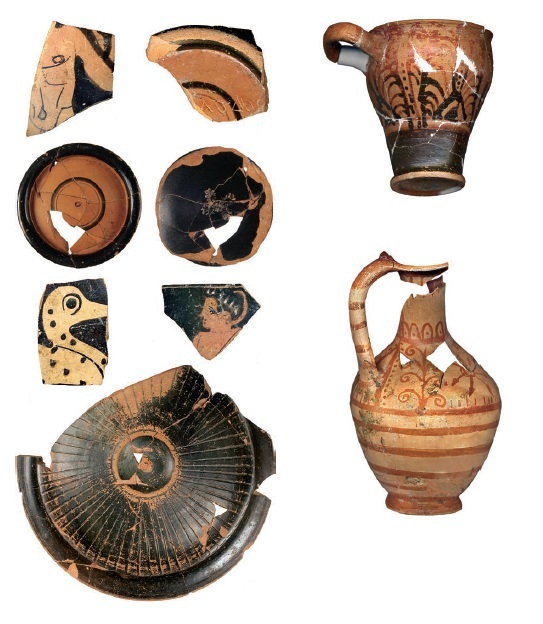 Besides standard forms, like ‘S’ shaped bowls, pseudo-kantharoi etc., excavations also uncovered vessels traditionally referred to by Bulgarian and Romanian archaeologists as ‘Thracian-Dacian types of cups’ (bottom left above), which are actually Celtic lamps (Vagalinski 2011:204). The pits were of cult character and according to the main characteristics of the finds they date from the final decades of the second and the beginning of the first century BC. With the gradual Roman expansion into this region during the late 2nd / 1st century BC, and the resulting war of resistance by the local tribes, Krševica became of particular strategic importance. 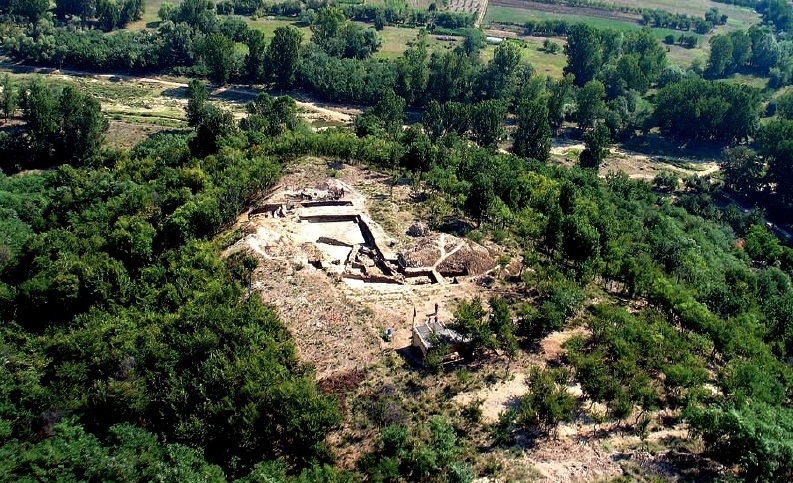 During this brutal conflict, the fortress was used by the Scordisci Federation, in conjunction with other members of the ‘barbarian coalition’, including the Free Thracian tribes and Dardanians, as a staging-post for frequent attacks/raids on Roman occupied territory to the south. This final phase ended with the defeat of the anti-Roman coalition led by the Scordisci towards the end of the 1st century BC, and the subsequent consolidation of Rome’s control in the area. Thank you.This looks at a part of the world new to me.